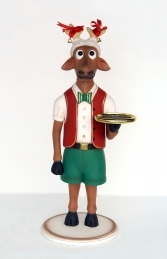 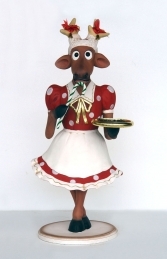 This Funny Reindeer female figure holding a Christmas box would be ideal standing next to your Christmas tree or to use to advertise a visit to see Father Christmas at his Grotto. In her bright red dress with big white polka dots holding a wrapped Christmas box, wearing a Christmas hat with her antlers sticking through. 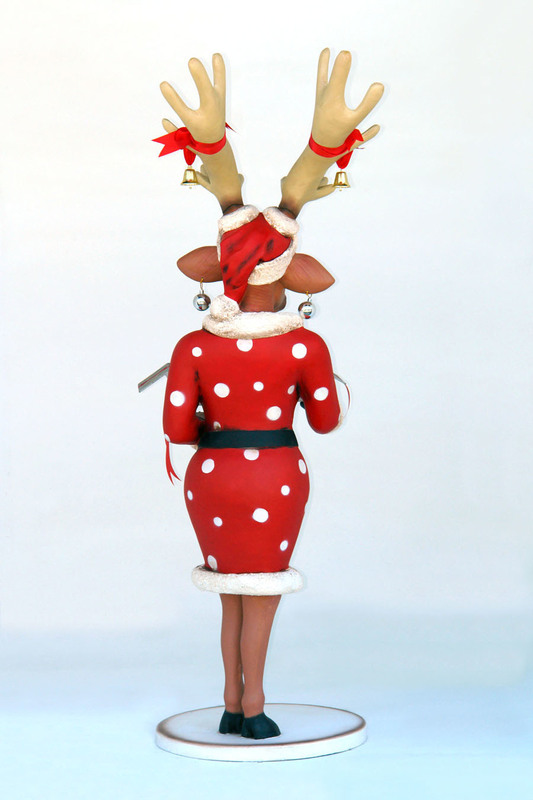 She also has bells tied with red ribbon on her antlers and silver baubles for earrings. 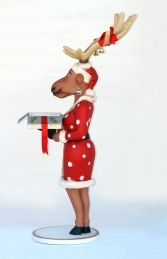 This jolly Funny Reindeer female figure can either be used at home or in a Christmas grotto or shop display window. 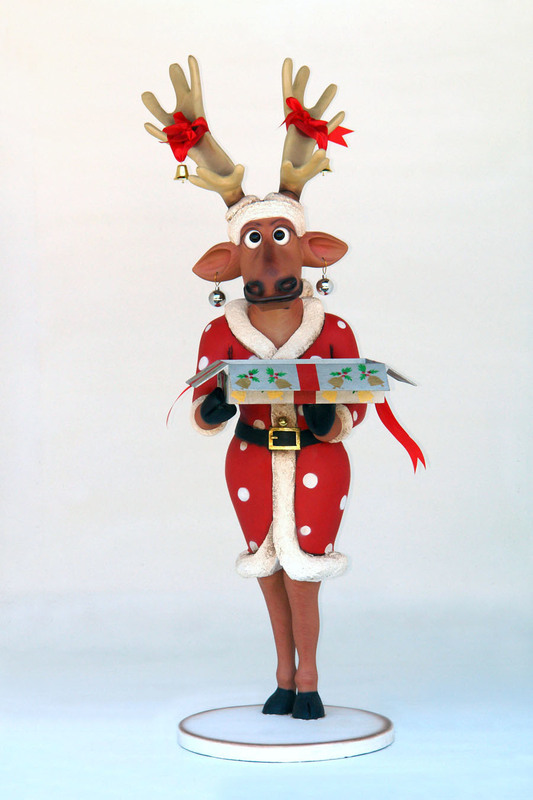 Why not pair her up with our new Funny Reindeer Male with Christmas Box 6ft (JR IW).